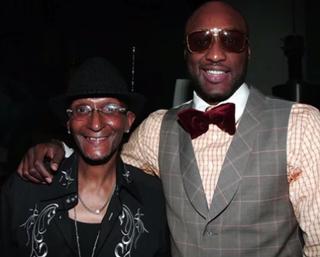 Lamar Odom’s relationship with his father received a lot of attention during the former NBA player’s stint on reality television. Odom’s father, Joe, who was an admitted drug abuser, is now shocked to hear that his son was found unconscious in Nevada. “Somebody drugged my son. There’s no way he’s down there partying crazy like that. No way,” Joe Odom told Hollywood Life. According to the elder Odom, he was trying to get in contact with his son all day Tuesday but was unsuccessful, and he says now he feels depressed. “I’ve been calling him all day and he hasn’t been answering. I’m depressed right now—this is messed up! What can I do right now? That’s my son. I’m really hurt right now. This is the first time I’m hearing about it. Let’s give this some time. I pray that he will come out of this. I need all his fans to send him well wishes. If [ex-wife] Khloe [Kardashian] knows anything about this, please, tell her to call me. We all love Lamar and want him to pull through this,” Joe Odom told Hollywood Life. Dennis Hof, owner of the Love Ranch brothel outside Las Vegas, where Lamar Odom was found, said the free agent was foaming at the mouth and unconscious after taking an “herbal” Viagra substitute. In previous interviews, Lamar Odom’s father has blamed the Kardashians for ruining his son’s life, even though Lamar Odom also has said that his father was absent for most of his life growing up.